The Intelligent Choice for Document Management. 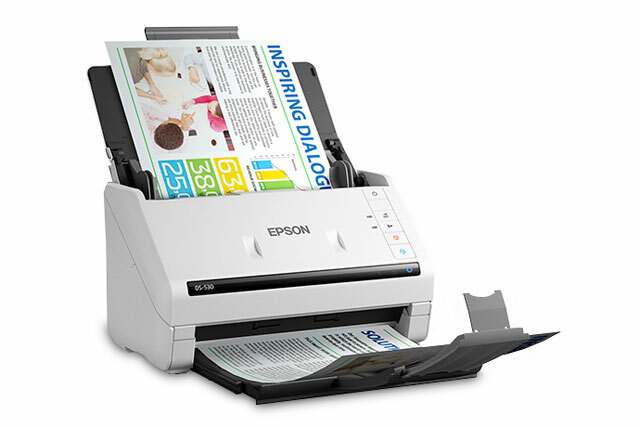 The Epson DS-530 color duplex document scanner is the intelligent choice for all business. It offers world class performance at a significant value. The compact and powerful scanner can quickly scan stacks of pages to a PC, Mac, on an online storage account like Dropbox, Evernote, Sharepoint, and more.